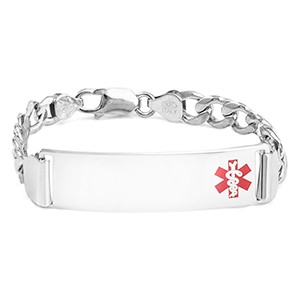 This sterling silver medical ID bracelet has a red medical symbol on the front [and can be engraved on front and back. 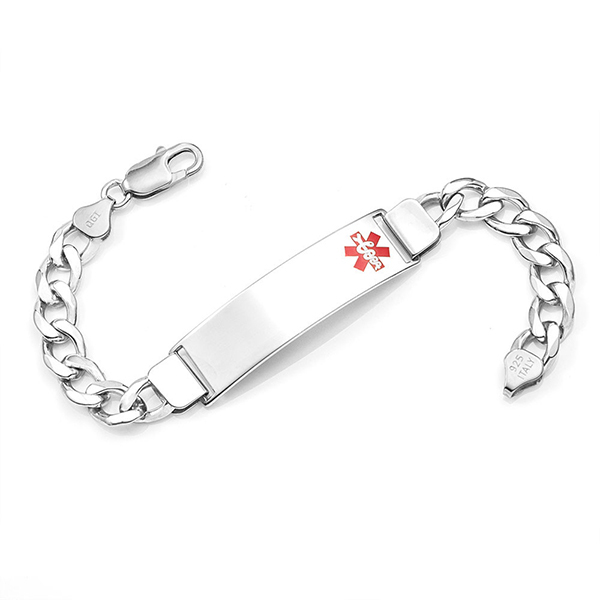 It has a high polish finish and adds an extra charm to any outfit. 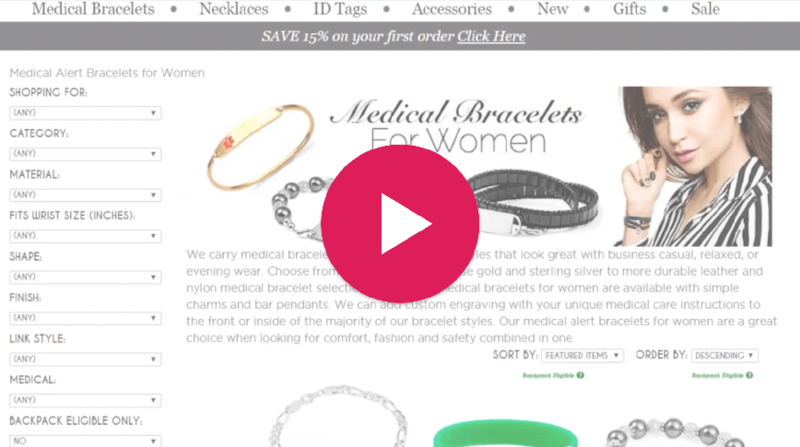 Customize it with your medical details on the front and the back.